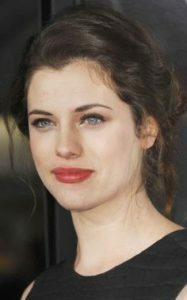 Jessica De Gouw is an Australian actress. She is best known for her portrayal of Helena Bertinelli/The Huntress in the CW superhero television series Arrow. She portrayed Mina Murray in the NBC TV series Dracula and played Elizabeth Hawkes in the WGN series, Underground. She is also known for her roles in films The Rezort, Kath & Kimderella, These Final Hours, Cut Snake and 2017 feature film OtherLife. Born Jessica Elise De Gouw on February 15, 1988 in Perth, Australia, she has a sister named Chelsea. She attended Lesmurdie Senior High School and graduated from Curtin University in Perth, Western Australia in 2010 with a Bachelor of Arts (Communication and Cultural Studies – Performance Studies). Jessica moved to Sydney and appeared in a number of television series. She made her feature film debut in 2012, in Kath & Kimderella alongside Jane Turner, Magda Szubanski and Gina Riley. She later moved to Los Angeles and successfully auditioned for a role in the action-adventure series, Arrow. *She was born on February 15, 1988 in Perth, Australia. *She is a 2010 graduate of Curtin University. *Her first television role was in a 2006 episode of The Sleepover Club.